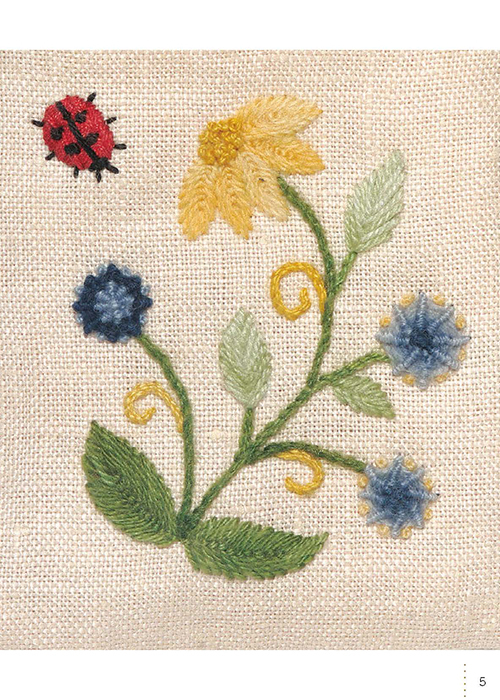 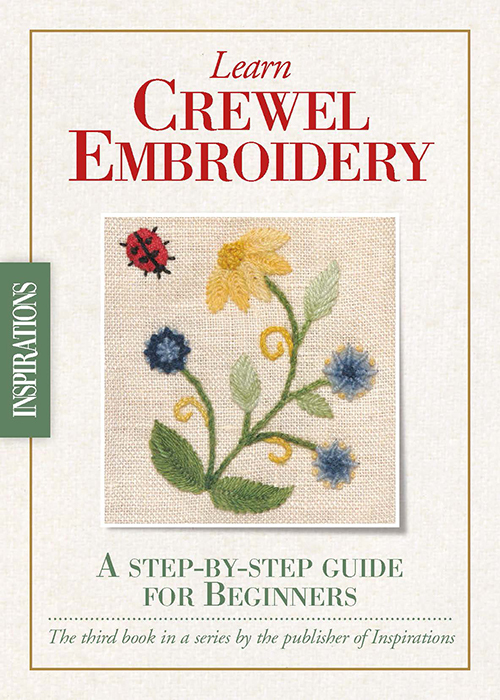 Learn the basics of Crewel Embroidery with this step-by-step guide, perfect for beginners. 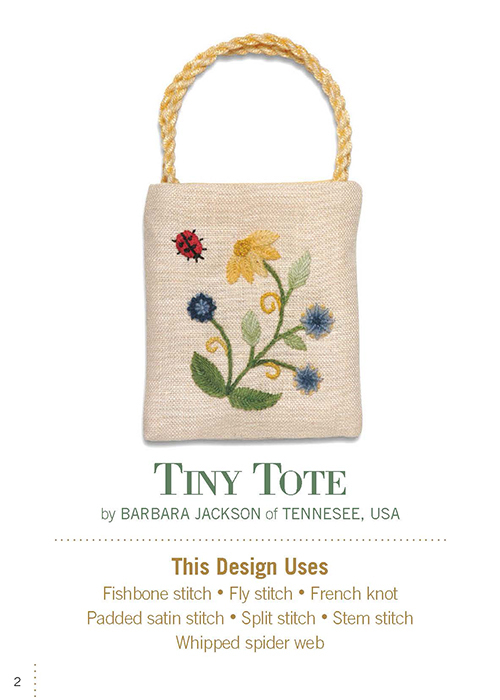 Featuring the project ‘Tiny Tote’ by Barbara Jackson, this gorgeous little design uses some of the most popular crewel embroidery stitches and is an excellent project for those new to Crewelwork. 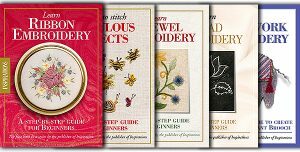 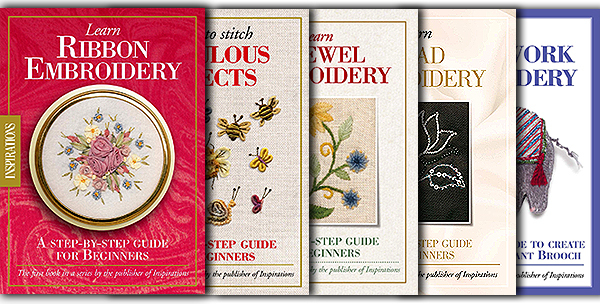 The Inspirations ‘Learn’ booklets are the perfect way to teach yourself new needlework techniques, each booklet includes a starter project, detailed stitch instructions and over 40 step-by-step photographs and illustrations. 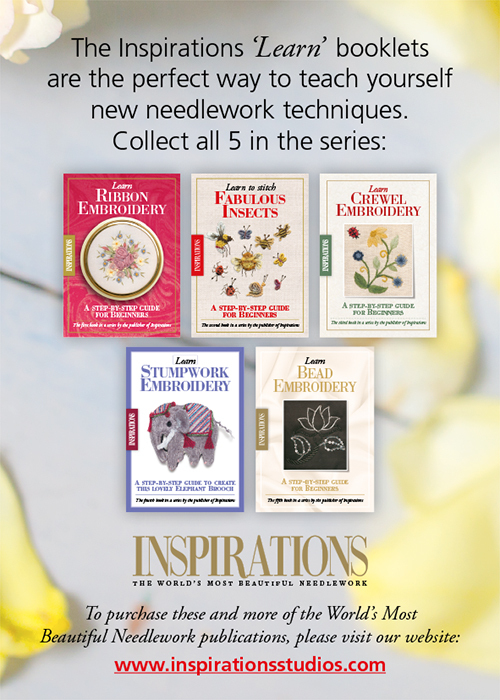 The Inspirations ‘Learn’ booklets are designed to teach you the basics of the featured technique and includes comprehensive step-by-step diagrams and a fabulous mini project to get you started. 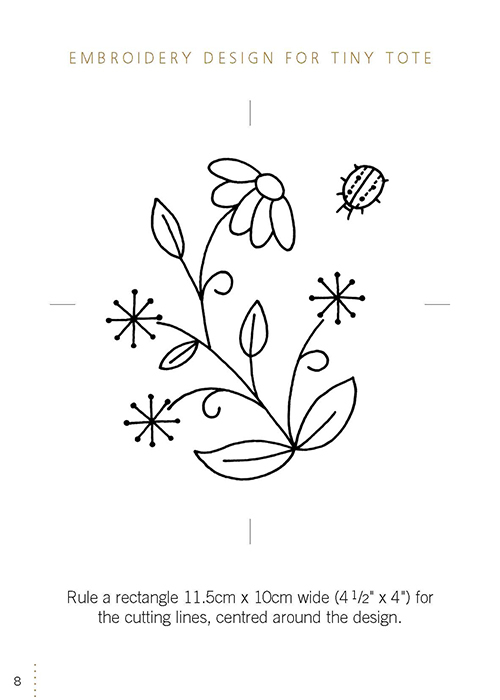 This booklet is a digital PDF file and does not include any materials or kit. 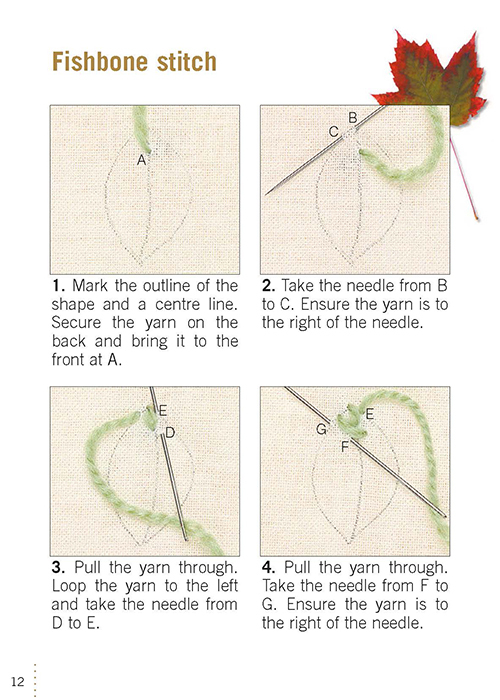 It features our award winning detailed step by step instructions, a full list of threads and materials required to make the project(s), plus any relevant hints, tips and tricks.